When choosing a tradesman for any kind of work, it’s important to check off a few things so that you can rest assured you’re hiring an individual that is reliable, provides quality work, and is trustworthy. Electrical work is defined as the manufacturing, constructing, testing, installing, repairing, or removal of electrical equipment. That’s a category that encompasses quite a lot of work! 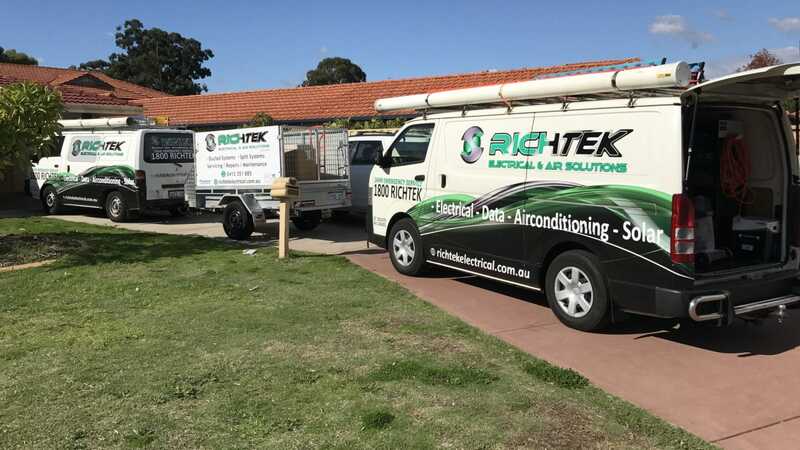 A reputable electrician in Perth can help with domestic, commercial, industrial, or emergency situations. This can cover nearly any electrical problem, from installation of complex measuring and flow meter equipment used in the mining industry, an electrical set up suitable for food service, or an older power point replaced on a house. A solution to any electrical problem can be determined by them. While having a reputable company on hand is wonderful, just saying so isn’t really good enough. What makes for an excellent Perth electrician? 1. License and Insurance. These are probably the two most important factors. A license is the guarantee that the contractor has completed all the necessary courses and practical work to perform work onsite correctly and safely. When hiring an electrician, always ask for their license first, and make sure that it is current. A quick online check to make sure that it is credible doesn’t hurt, either. Keep in mind that some licenses are specific even within the field of electricians and may not cover the kind of work needed. In addition to a license, the contractor needs to carry all the necessary insurances. In addition to protecting him, this protects you from the liability of something going wrong during your job. Electrical work is dangerous, and just like the license, insurance that covers the specific work needed is imperative. Asking to view copies of current policies to make sure that they haven’t expired is an excellent way to vet your contractor. 2. Value for money. As with any product, utilize the phonebook or online listings for companies. Price comparisons are an excellent way to compare service and the quality of the service. While you don’t want to go for the cheapest you can find, a quick search may yield comparable or equal services for lower prices. Generally, it’s a good idea to obtain at least three quotes. You need to communicate exactly what kind of work is needed, and each of your quotes should be broken down by materials and labour for a clear idea of what you’re paying for. Keep in mind that choosing an electrician based on price alone is unwise, as there are other factors to consider, but this factor should be near the top of the list. 3. Qualifications and experience. Every electrician will differ in the level of service they can provide. Many will have additional qualifications or experience in other types of specialized electrical work. Some of these may have accreditations. As an example, when you work with a master electrician, it guarantees they have a minimum of three years experience and will offer a twelve-month warranty on their work. It also ensures the highest standards of electrical safety and workmanship, and they are likely to be the most knowledgeable in energy-saving technology or products. That last part is definitely of interest with the ever-increasing demand and costs of energy. 4. Recommendations. If you haven’t experienced the work of the particular contractor you’re looking into yet, recommendations are an excellent starting point. Word of mouth is how most businesses will generate new customers, so it is in their best interest to make sure that every customer is as satisfied as possible with their work. Getting a recommendation from someone you trust can be invaluable, and if that isn’t an option, ask the contractor about previous clients and follow up with them. 5. Attitude and communication. These are key traits of any businessman. A poor attitude or sloppy work will guarantee a non-repeat customer. When you’ve decided on an electrician, take note of their timeliness and communication. Good communication skills can persevere through almost anything. Making sure that you both understand the work that needs to be done and its costs are vital to a good experience. These are just a few of the qualities you should look for in when searching for an electrician in Perth. Checking off the above qualities will help make for an efficient and happy experience whether it is for routine maintenance or a system overall, at home or business.